How to capture hands: camera, palm print or flatbed scanner? The suggested way to make a handprint is by covering the hand with ink. However, this is inconvenient for the casual case. Would it be possible to create a computer application that converts a photo into a black/white handprint? Re: How to capture hands: camera, palm print or flatbed scanner? yogiman wrote: The suggested way to make a handprint is by covering the hand with ink. However, this is inconvenient for the casual case. Would it be possible to create a computer application that converts a photo into a black/white handprint? Sorry, I don't think that such an application will become useful as it will likely induce visual effects that are not really present in the hand. Photoshop does provide options to create such effects but those options will not give you the opportunity to see the path of the ridges lines inside the fingerprints, etc. A photo-copier will give a detailed 'flat' result, though the quality will e.g vary with the quality of the product. I have watched the hand photos on this website, and I am impressed by the quality. It makes me wonder what is still the use of an old fashioned handprint. yogiman wrote: I have watched the hand photos on this website, and I am impressed by the quality. It makes me wonder what is still the use of an old fashioned handprint. Short answer: handprints are basically especially a valuable tool to study the dermatoglyphics. The benefit of a photo is that there is no mess, as a consequence less hurdle for a possible subject, easy storage, no need to outline the fingers, and the ability to draw in the picture. The benefit of an ink print is that the dermatoglyphics are somewhat clearer, and that the subject has to go through some ritual before the act of handreading. Weighing both photography in the present modern time and ink print, which one is preferrable? yogiman wrote: The benefit of a photo is that there is no mess, as a consequence less hurdle for a possible subject, easy storage, no need to outline the fingers, and the ability to draw in the picture. I think a hand scan (photocopy in color) is most preferable, since it usually gives a good impression of nearly all essential (visible) features, including the dermatoglyphics. The example below illustrates the quality material which one can achieve using a hand scan. Sorry for my previous deleted post. After clicking full size I indeed see the details. What type of handscanner is recommended? yogiman wrote: Sorry for my previous deleted post. After clicking full size I indeed see the details. What type of handscanner is recommended? 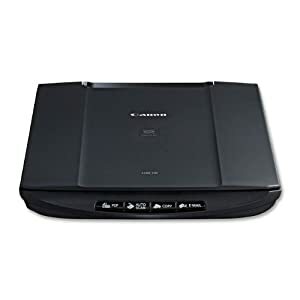 By principle you can use any flatbed scanner that is appropriate to make copies of books; but be aware that the very cheapest scanners might get damaged due to the weight of the hands, so I would recommend to use a robust product that can take a very heavy book. Thank you Martijn for your always honest and useful replies. The scan example from Martijn for sure gives a very clear picture and ability to see all the skin ridges & fingerprints. This is not the case with some of the hand scans that people send me. Are there any further clues as to how to get a good hand scan? What resolution should they be scanning at? Most scans I receive have the mounts and fingerprints squashed flat (due to pressing down too hard on scanner) the lifeline appearing wider than it really is (due to thumb being held too close to hand) etc. So far I didn't find scans to be the clearest representation of the hands. Lynn wrote: The scan example from Martijn for sure gives a very clear picture and ability to see all the skin ridges & fingerprints. This is not the case with some of the hand scans that people send me. Are there any further clues as to how to get a good hand scan? What resolution should they be scanning at? Most scans I receive have the mounts and fingerprints squashed flat (due to pressing down too hard on scanner) the lifeline appearing wider than it really is (due to thumb being held too close to hand) etc. So far I didn't find scans to be the clearest representation of the hands. 10 Years ago the FBI described 250 to 300 dpi scan as probably the minimum resolution in their fingerprint scanners; so, that should do as well for a full hand scan. PS. Additionally, I think it would be okay to ask for real size pictures in jpeg format for each hand separately that take between 0.5 to 1.0 mb memory storage.